Show your bravery in battle by adding these metals and pins to your military costume. 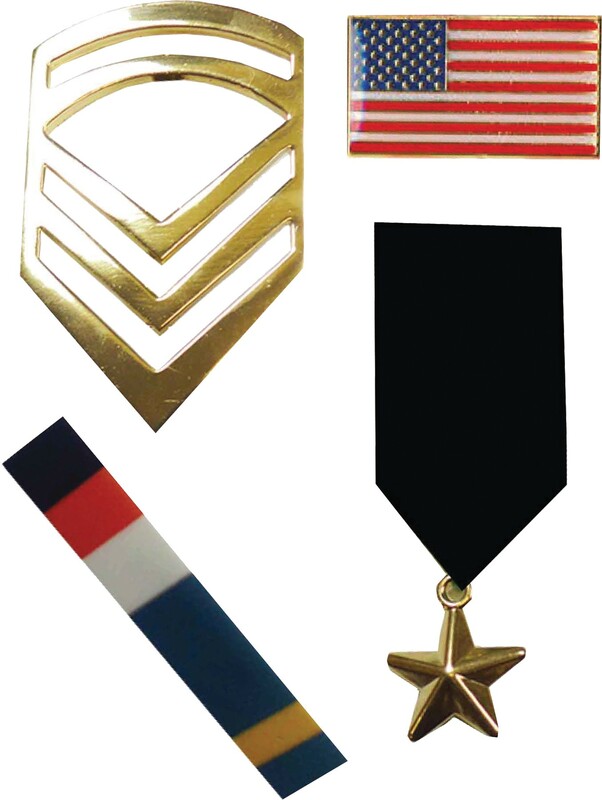 Military pin set includes four different pins: gold chevron military rank label pin, American flag pin, black ribbon with hanging gold star, and the military ribbon pin. Excellent accessory for your combat hero costume!